Used car websites Oakville – Budds’ BMW Oakville. Looking online for used cars can be a difficult task if you don’t know where to look. Budds’ BMW Oakville understands that, and that is why we can offer our valued clients of the best used car websites Oakville in the industry. As exciting as is it buying a new car, whether it be new or pre-owned, the process of finding that vehicle you are looking for and then buying it is exhausting. There can be some pretty pushy and slimy sales people out there that try to push you into a car that you don’t really want, or breathe down your neck when you are trying to look through the vehicles in their lot. It is for these reasons that people opt out of physically going to a dealership, and stay home to look for used car websites Oakville online. Budds’ BMW Oakville offers our customers a convenient and stress free platform to look through our inventory of world class driving machines. Used car websites Oakville are supposed to be a deep and extensive resource for anyone looking to purchase a used car. Budds’ BMW Oakville website is just that, and you can filter your search based on make, model, and the price for the car you are looking for, and when you find that car, our website provides you with a quick link to the vehicle’s Car Proof report. Good used car websites Oakville usually include a bunch of pictures of the vehicle as well, so you can get a better view of the interior and exterior of the vehicle. Budds’ BMW Oakville includes many high quality photos of our vehicles so that our clients can have a detailed view of the car they are looking at. As far as used car websites Oakville go, Budds’ BMW Oakville has got one the best websites in the industry. We offer our clients a range of services on our website for the client as they search for a vehicle that suits their needs. When you go to our website and click on a vehicle, you will be met with various options that you can take advantage of. You can request more information about the vehicle if you are looking for something specific and the information is not there. You simply fill in your contact information in the box provided, and post your questions, and you will get a response email with an answer. You can also apply for financing right on the page by again, filling out your information in the box provided. If you would like to book a test drive for the car you are looking at, you can also do that by clicking a button and choosing a day and time. 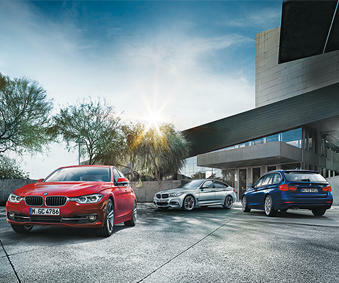 Our Budds’ BMW Oakville website is really a one stop shop for all of you used car needs. If you are in the Oakville area and you are looking for used car websites Oakville that will give you a quality selection of exceptional driving machines, Budds’ BMW Oakville has that website. Please feel free to check us out online today, and book a test drive in that supreme automobile you are looking at. We provide our clients with world class customer service from the moment you step foot into the dealership, and from the moment you reach our website.